Discover the many different faces of Mount Otemanu, the rugged spire that soars up from the center of the island idyll. 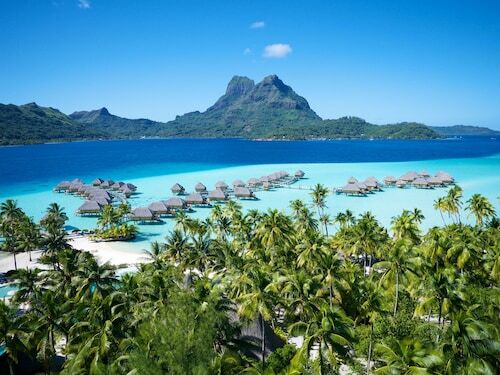 Bora Bora’s tallest peak is 2,385 feet (727 meters) tall and its ruggedly beautiful summit can be seen from all over the island and its offshore motus (islets). Explore a range of hiking trails that weave across the mountain’s foothills and appreciate its beauty from below. 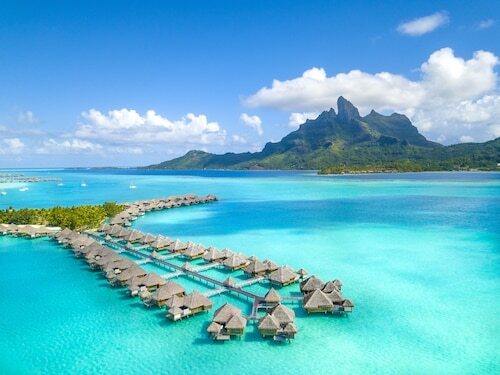 The mountain is a remarkable sight from the surrounding motus, many of which contain resorts with overwater bungalows that face the conical peak. Made of the jagged remnants of an extinct volcano, Mount Otemanu is the island’s crowning landform. Admire its pointed peaks of dark rock and the velvety-green carpet of vegetation that climbs up the vertical cliffs. Embark on a sightseeing boat tour of the island to get a 360-degree view of the mountain. Board a catamaran, yacht or motorboat and set sail across the breathtaking lagoon. 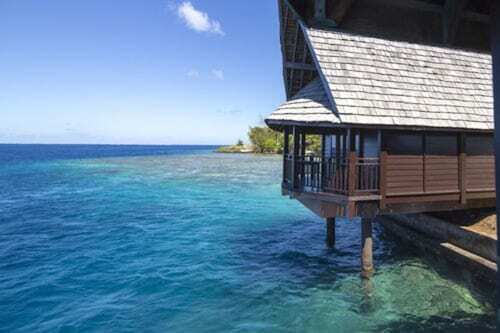 Relax on the deck as your boat glides through the azure waters and take in the views. Helicopter flights are available if you would prefer to experience an aerial view of the rock spire and its forested foothills. Get a closer look at the tropical hillsides on a wilderness hike. It is recommended you book a guide to help you traverse the dense jungle. Go on a four-wheel-drive tour around the mountain’s base to see World War II cannons, cave formations and ancient archaeological relics. While it is not possible to summit Mount Otemanu, you can hike to the top of nearby Mount Pahia for stunning views of the craggy rock face with a backdrop of the blue lagoon waters. 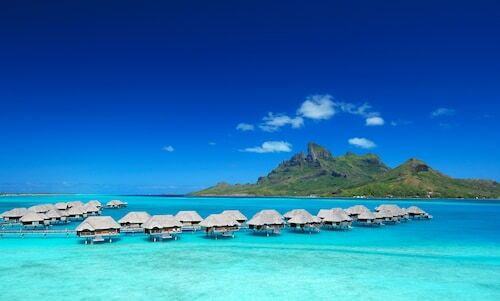 Mount Otemanu is located in the center of the Bora Bora mainland. Admire the mountain from the outer islets or access its hiking trails via local roads. Inquire at your resort about organizing a hiking guide. Sailing tours, sightseeing drives and helicopter rides vary in price, so check online to find out which option is best for you. 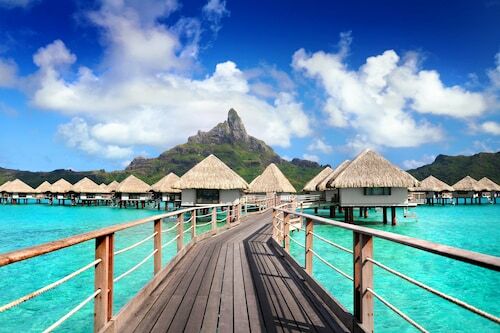 Nestled on the beach, this Bora Bora resort is within a 15-minute walk of Motu Piti, Matira Beach and Matira Point. Leopard Rays Trench and Coral Gardens are also within 15 minutes.